Phillip Mariano, former Chef de Cuisine for Domenica, now Executive Chef at Josephine Estelle. 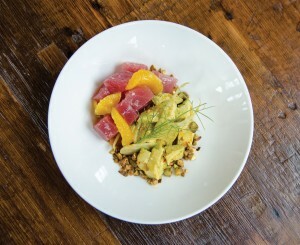 Seven of the tastiest new restaurants in town. 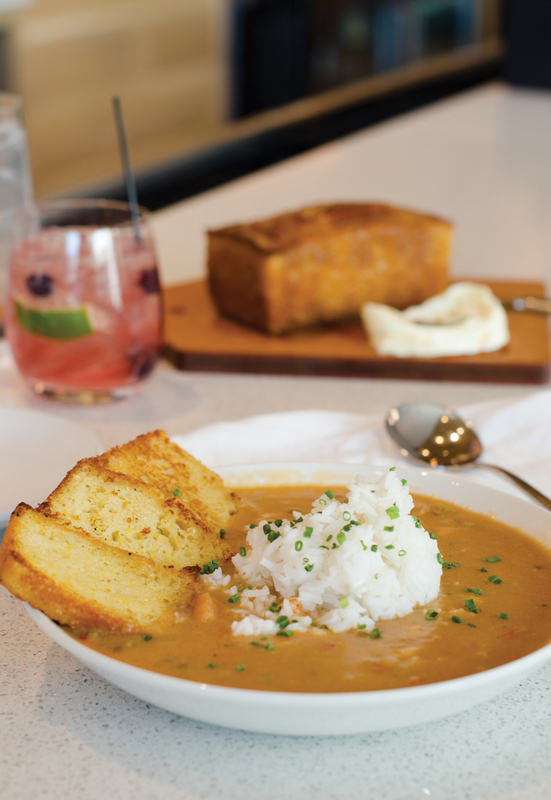 New Orleans is opening new restaurants at a pace that can challenge even a studious recommender. Are there trends among these? A number of the newest aim for classically Southern flavors (that is, of a non-Creole/Cajun stripe). Several are serving fancy farm-to-table Italian. 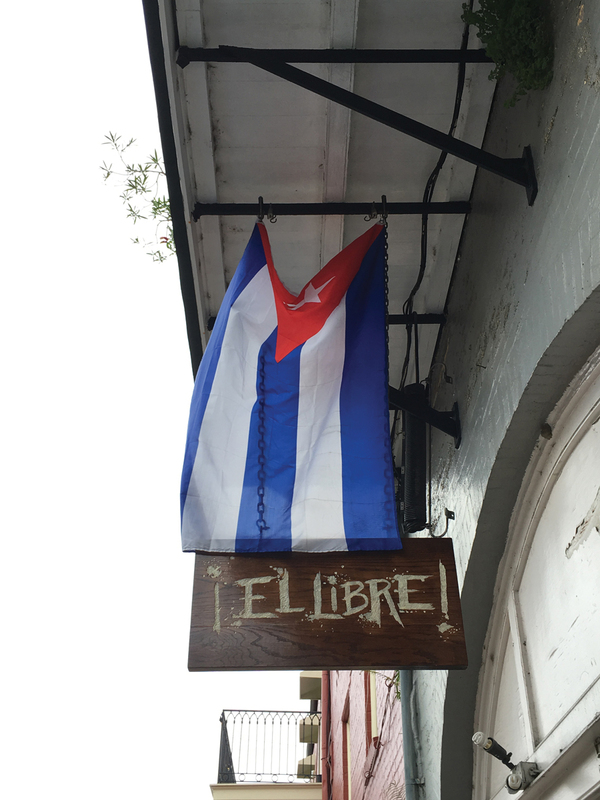 A little Cuban coffee bar is a perfect addition to the Quarter. Here are seven spots worth a stop, almost none of which existed as of Jazz Fest 2015. This Mid-City joint, a short jaunt down Carrollton from the Fair Grounds, serves what chefs Dayne Womax and Simon Beck describe as “’Bible Belt’ cuisine.” Parse that as heavy on pork, pimento and pickled things, plus plenty of bourbon. The aesthetic is a sort of upscale diner, probably by necessity as much as design: It’s housed in an unassuming strip mall. Thankfully, no one tried to put lipstick on a pig restaurant. Walls are warm wood and deep grey, old Dylan tunes waft around, booths are spotlit by overhead lamps. Settle in with a whiskey cocktail—you can skip the gin—such as the Southern Gent Julep (a Dark ‘n’ Stormy cross). 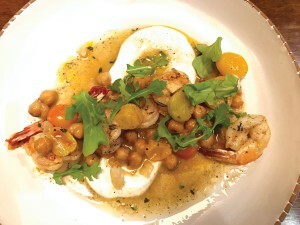 Then tuck into melty beef short ribs; a shrimp and chickpea dish freshened with spiced yogurt; a crabby mac and cheese. Or just watch for what looks good coming out of the kitchen and ask your neighboring diners about it. Brown Butter is that kind of place. It has the coziness of a room rather than a restaurant, a style that plays well in any version of the South. 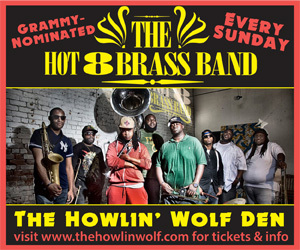 Mid-City: 231 N Carrollton Ave., 609-3871. With the closing of Maurepas Foods, there is an opening for a new Marigny–Bywater mecca, and it seems destined to be Italian. Mariza, a bit farther down Chartres, is making a lofty case, and The Franklin, near Mimi’s, a moodier, darkly stylized one (its Franklin Avenue isn’t the one in Los Angeles but might as well be). But Paladar 511 may soon lap the pack. Housed in a onetime sock factory, featuring concrete floors, shared bathroom sinks and “those lightbulbs,” it wears its hipster tics well (it’s beautiful, really) but doesn’t rely on them. The food would be fantastic in a white box. The menu is au courant, long on crudos and amaro cocktails, ambitious pizzas and farm eggs. 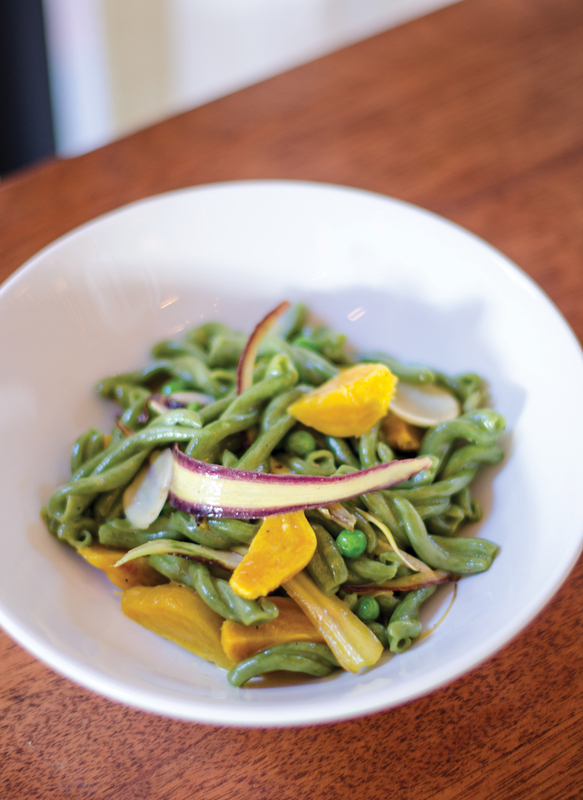 You know it will be good from the arrival of an unassuming Little Gem salad. A textural marvel of tangy goat cheese vinaigrette, gleaming beets and crunchy breadcrumbs, it announces a kitchen watching every detail (in the open layout, you can watch their work, too). 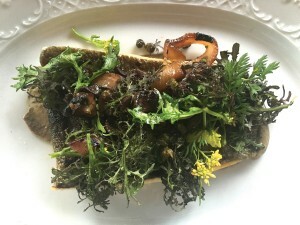 Other recent standouts were a pizza with roasted Brussels sprouts, toasted almonds and Calabrian chili, and a crispy pan-seared snapper anchored by earthy maitake mushrooms and brightened with fried lemons and a crisp apple slaw. The menu abounds with fresh pastas, smartly treated vegetables, and meats braised, moussed, grilled, rolled. You won’t go wrong. Marigny: 511 Marigny St., 509-6782. Of the several spots here that travel from New Orleans to the South [sic? ], Kenton’s takes the most circuitous route. Billed as an “American whiskey bar and restaurant,” it’s a vision of Kentucky as seemingly seen from across the Hudson (the owners and chef Kyle Knall are also behind Maysville in Manhattan). That’s an odd find on Magazine Street; green leather banquettes suggest a tasting room in Frankfort, while pseudo Bevolos don’t so much evoke New Orleans—when you’re sitting in it—as intone it. This is a highly polished, slightly bemusing and very lovely dining room. 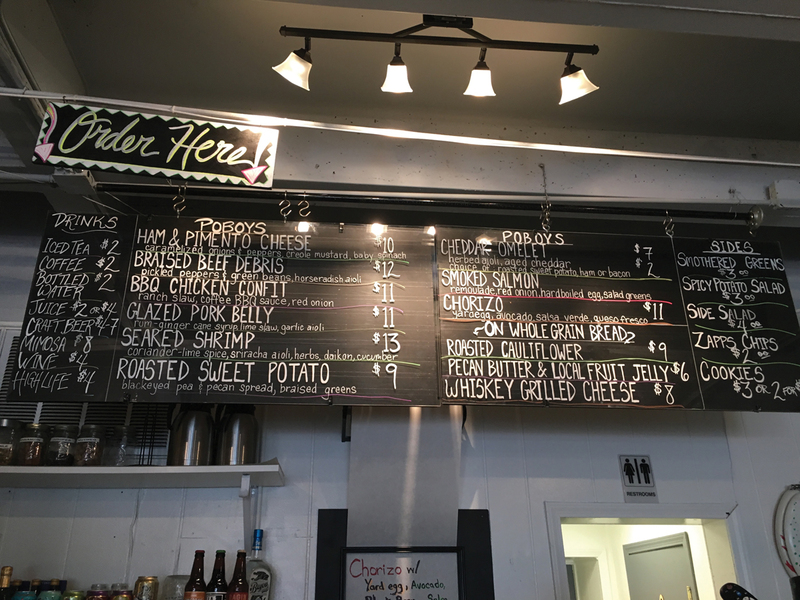 The menu is heavy on Gulf seafood and rustic meats; both mostly smoky, the better to drink whiskey with (there are dozens). A standout is the smoked drum mousse, dolloped with “Cajun caviar” aside perfectly grilled bread. On a recent visit, grilled pompano with rich oyster broth bested a nicely cooked but underseasoned slow-smoked trout. Dessert is designed to go well with whiskey dregs—or a nightcap 1 oz. pour—and sure does: A bourbon-soaked pecan cake with lemon–poppy seed ice cream was figgy and fantastic. Uptown: 5757 Magazine St., 891-1177. A glassy block in the CBD at first seems like a funny spot for a homey Southern joint—but like many of its Besh Group brethren, this grand new bakery and restaurant from chef Kelly Fields creates its own world, one so tastefully decorated and helpfully staffed that it doesn’t really matter what’s outside. Affable servers dash around in gingham beneath distressed brick walls and nifty chandeliers, as intricate setups of flaky, buttery things whiz by. You can taste the vision of Fields—a South Carolina native who named the restaurant for her grandmother—in nearly any course, any time of day. But late morning, as breakfast cedes to lunch, is a sweet spot. Crab and corn fritters come ready to be dipped in a delectable boil-spice aioli. A rich crawfish roll recalls the shellfish rolls of New England, with butter swapped for mayo and sweet crawfish playing lobster’s mellower cousin (pickled onions add a great vinegar pop). Dishes arrive not just as dishes, but as experiences. Cornbread neighbors a pond of Poirier’s cane syrup, lapping at butter shores. Chocolate chip cookies appear with an enamel mug of vanilla-perfumed milk and a beater with cookie batter. Too much? Well they’re the tastiest in town. Fields is having fun here (speaking of fun: a “Frosé”—yes, that’s a frozen rosé daiquiri). For a pillowy biscuit and coffee, for a fancy brunch, for a snazzy after-work dinner, the smart move is to join the party. CBD: 611 O’Keefe Ave., 509-7334. The Quarter is well suited to quick, cheap pick-me-ups—places that deliver a clang of espresso or spirits before sending you back on your stroll. 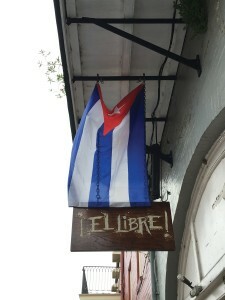 Opened near the French Market around the end of 2015 hurricane season, the breezy El Libre vends just that, Cuban-style: sweet coffees, pressed sandwiches, and a half-dozen classic cocktails, from a Hemingway daiquiri to an El Presidente. A tangy guayaba y queso sandwich, just $3.75, goes perfectly with a bracing cortadito, after which you’ll be about ready for some lime and rum to go. Looking at the finely tuned menu, the little wooden bar and clever loft seating above, you see everything you want and nothing you don’t. It’s hard to imagine a Quarter walk, morning or evening, that wouldn’t be improved by a pit stop here. French Quarter: 508 Dumaine St., 309-2699. Po-boy arguments tend to be about accuracy: The best po-boy is the one that is made most correctly, and accepted variations are the notable exception (the hot and garlicky firecracker shrimp at Parasol’s, for example). Killer Poboys in the Quarter has made heresy its calling card. Launched as a popup tucked inside the Erin Rose bar, it earned its name with genre-bending variations on New Orleans’ orthodox sandwich; it recently launched an airy standalone shop on Dauphine, and it seems to be enjoying the space to stretch its wings. (The popup remains.) For a good chunk of its menu, “Big” Killer amounts to a fourth Southern restaurant on this list, though many sandwiches nod to New Orleans in more ways than their doughy housing. 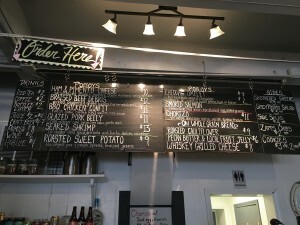 There’s the ham and pimento cheese poboy (with creole mustard), the glazed pork belly (with ginger cane syrup and rum), plus sundry slaws and pickled peppers. Killer’s vegetarian option may be the most classically Southern, which is rule-breaking in its own right: a creamy sweet potato filling is topped with braised greens and a rich pecan spread. The point here is not only to break po-boy rules, but to blur borders between cuisines. A smoked salmon po-boy with a remoulade schmear and hard-boiled egg? What city gets to claim that? It hardly matters. A fresh po-boy bun turns out to be a great location for such experiments, a neutral ground where ingredients are free to be weird. French Quarter: 219 Dauphine St., 462-2731. The arrival of an Ace Hotel has become a kind of line in the sand for a city’s claims to cool; in other words, this could have gone badly. Would the Portland chain try to transplant its woolly West Coast modernism on Carondelet Street? Or worse, would it make a play at some hackneyed notion of “New Orleans”? Great news: nope, and not one bit. A lush, fern-drenched entrance catches the subtropics with breezy charm, and the dining room is grand and invigorating: With mossy leather seats, Art Deco fixtures, and soaring ceilings, it doesn’t try to feel like NYC, it succeeds at feeling like some more cinematic Gotham. Cue the spectacular food. Like Paladar, Josephine Estelle—which is named after the daughters of chefs Andy Ticer and Michael Hudman—isn’t dumb to the current Italian trend. Yes, there will be crudo. (A snapper edition, with hazelnuts, brown butter and sunchokes, and a stunner.) But each dish seems to contain some brilliant note of surprise. In a creamy Parmesan soufflé, it’s a spring kick of radishes and greens. In the scallop entree, it’s a fennel puree, which amplifies woodsy morels and chanterelles. And in a gulf fish, a salty dash of olives brines the fresh snapper. Aces always have good bars, and this is already one of the best. Wander across the lobby after dinner, plunk in a velvet chair, order a digestif. Sitting with a cognac-and-ginger Pimm’s Coupe, watching the St. Charles streetcar loom through plate- glass windows, you’ll feel like you’ve taken a trip to the old and new New Orleans. CBD: Ace Hotel, 600 Carondelet St., 930-3070. 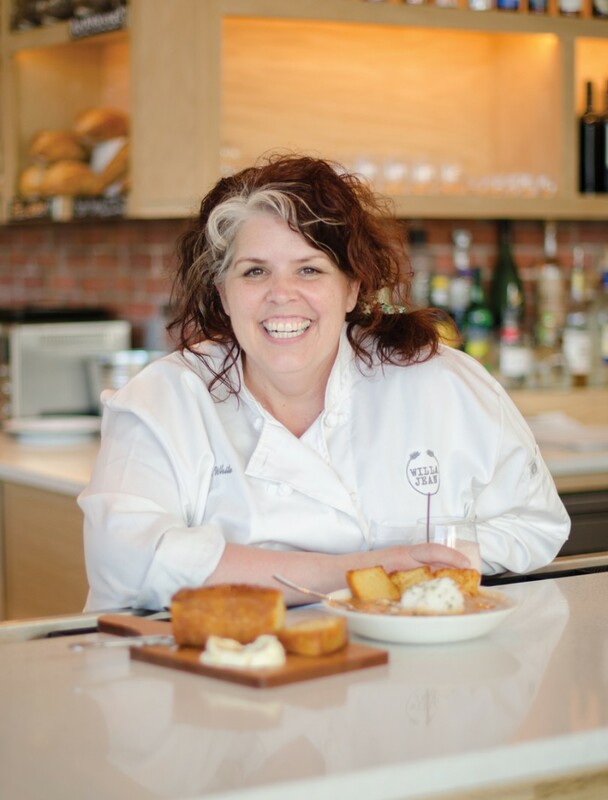 Lisa White, former pastry chef for Domenica and Domenica Pizza, now co-collaborator of Willa Jean with Kelly Fields.